At Bartow Ford, our employees are our second family. Each one is valued and integral to our success, both as a business and as a leader in our community. Their hard work day in and day out to ensure customers of new and used cars in Lakeland, FL is remarkable and essential. Our operations would come to a standstill were it not for the cooperation of every team member to uphold our values of trust, integrity, and honesty. To show our appreciation, we are acknowledging the top performing team members from 2016 and sharing a bit of their story at Bartow Ford. Diana has received the top spot for new car sales for 2016, but her story with us started more than 10 years ago. Her career at Bartow began in the Clean Up department, but after four years, she grew into a sales position. She is now a key player in our Internet Sales department and, because of her hard work, has earned the First Place award. In her own words, her Bartow Ford coworkers are “my family.” Diana, we couldn’t agree more! For Richard, one of the driving motivations is the fact that he firmly believes in the Bartow Ford family and our goal of helping the community in every way we can. He has been working with us since 2009, and this year has won the First Place award in his department, the Fleet department. His customers are large corporations, businesses, and the Government, which means he has a lot of responsibility on his shoulders. We couldn’t think of a more deserving individual for this award. 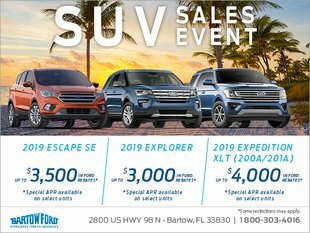 With the hundreds of employees at Bartow Ford, it would be tough to mention every one of them, but they all know how important their work is to us. As a brief mention of our second and third place winners, here are their names: Marty Wilson, Buddy Music, Steve Hendrix, Jared Drake, Rob Bryant, and Kristie Carter. 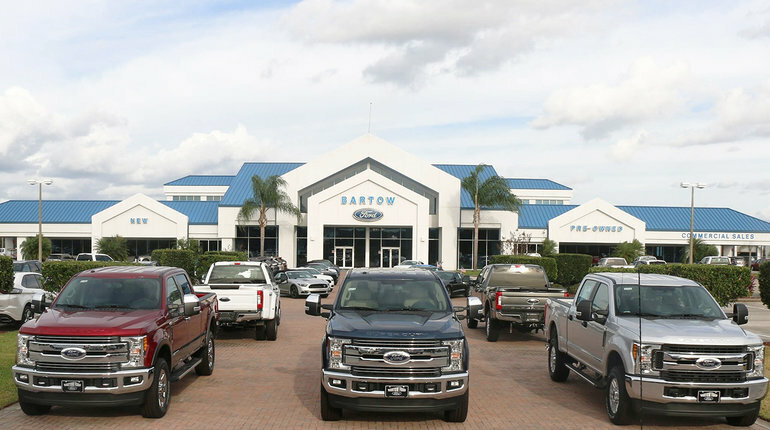 If you are ever looking to purchase or service new or used cars in Lakeland, FL, head over to Bartow Ford. These very same outstanding employees will be there to help you get what you need. Visit us Monday through Saturday at 2800 U.S. 98 North.